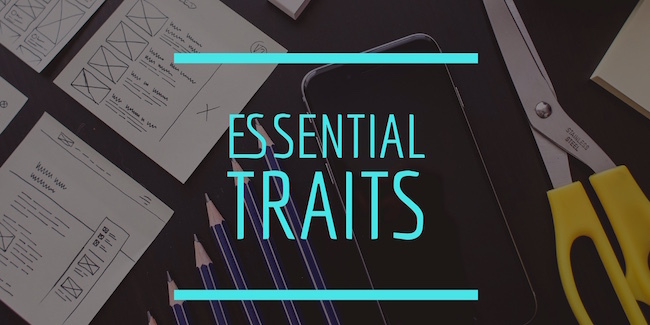 While each business owner has traits that are unique, there are essential traits all entrepreneurs must have in order to be successful. This article will address 11 key characteristics that are essential for entrepreneurs to have in order to be successful. Some may seem like common sense but don’t let that fool you into thinking you know their value. Confidence is not something we’re born with, it’s something we develop over time. The truly successful entrepreneurs are able to act confidently, even when they may not feel particularly confident because they have a strong self-esteem and complete faith in their ability to work through challenges and successfully solve problems. They also have one common desire: to grow their business and to see positive results. Effective entrepreneurs are not blamers. They take ownership for solving problems which they may have created. Most problems are created when proper systems are not put into place, and we’ll discuss that a little later in the article. A sense of ownership requires that business owners view challenges as opportunities for growth and learning. Control, then, becomes obsolete as these open-minded entrepreneurs accept responsibility and are accountable for their actions (or lack of action), and work with their team to rise above challenges with a goal of “everyone’s success”, and not just focusing on their own. The bridge to success is communication, whether the communication is written, spoken or non-verbal. Successful entrepreneurs develop a keen ability to listen, process, and take action. How do you learn? Do you seek information? Ask questions? Read? Research? Chances are you do some or all of those, making you an “autodidactic” learner. Successful entrepreneurs are quick to learn from mistakes and surround themselves with people who know more than they do in related areas. Business owners must master strong team building skills or else become enslaved to their businesses. No successful business owner shoulders the whole burden of the company and therefore will never advance up the ladder of entrepreneurship. Successful business owners master the art of team building. Leveraging good systems allows business owners greater results with less exertion. Contrary to popular belief, it’s important to rely on effective systems before one relies on people. Successful entrepreneurs realize that implementing system-based solutions tops relying on people. Once effective systems and processes are put into place, the team will be more efficient. Routine problems are not people problems, but system-based problems. Enterprising entrepreneurs are dedicated to creating clear visions and mission statements, making it easy for their team to jump on board and stay on track. Not enough credit is given to the value of gratitude for all that we receive. Successful entrepreneurs never take anything for granted and take pleasure not in material things, but with the pleasure that comes from accomplishment and contribution. Successful business owners understand that setbacks are part of life and remain steadfastly faithful to their vision, their mission, and their commitment to be the company they can be proud of. They don’t give in to fear but face it with tenacity, courage, and faith. Successful entrepreneurs know that excitement is contagious and that they need to maintain enthusiasm about their product, service, team, and ideas. They promote a fun-loving, productive environment both on and off the job. True leaders are skilled at recognizing the strengths and yes, even weaknesses of themselves and their team, and offer appreciation, support, rewards, and encouragement. They put training programs in place to better their team and gain power and respect by empowering and respecting their team.